Most companies want to collect more data to be used for fact-based decision making. However, companies struggle actually implementing a strong metrics program. There is a reason – it is really hard! However, there are things you can do to ensure you collect good metrics without going overboard. Metrics provide a more factual and quantitative basis for understanding how you are doing and the things that can be done better. Without at least some basic metric information, all discussions on performance and improvement are based on anecdotal evidence, perceptions and guesses. You don’t want to collect metrics just for the sake of collecting them. That doesn’t make sense and it just ends up being a waste of time. If certain metrics are required by your organization, collect them. In addition, you should collect any other metrics that are needed by your particular project. However, if you don’t have a purpose for the metrics, or if your project is not long enough that you can really leverage the information, these customized project-specific metrics are not worth collecting for your project. Just as there is some cost associated with most project management activities, there is a cost to collecting and managing a metrics process. In many cases, the cost to collect and leverage a certain type of metric is prohibitive. These metrics should not be pursued. Other metrics are interesting, but do not provide the type of information that can be leveraged for improvement. The bottom line is that the cost to gather each metric must be balanced against the potential benefit that will be gained. Start by gathering metrics that are required by the organization. Then add metrics that have the lowest cost and effort to collect and can provide the highest potential benefit. If you want to discuss the collection of metrics for your project to be in control and gather them to improve estimating for future projects contact us today. Are You a Nervous Presenter? Use These Four Tips to Feel Confident. [image source_type=”attachment_id” source_value=”96″ align=”right” width=”300″ autoHeight=”true”] It is said that all people fear two things – death and public speaking. Having to present in front of others can be nerve-racking – even for experienced speakers. You are not going to find the answers in your Communications Plan. Here are some tips to help you feel more confident. Nothing gives you as much confidence as being prepared. Of course, you need to know the content, but you should also understand the structure of your presentation and how you will move from point to point. You don’t need (or want) to memorize the presentation, but you don’t want to forget things either. You should rehearse the presentation multiple times. This could be in front of a safe audience, or even saying the words to yourself. You don’t want to read content from a slide, but having the overall session framed by some slides with bullet points can keep you on topic and make the presentation more comfortable. 2. On the day of the presentation. Get yourself mentally and physically prepared. Before you present, spend 15 minutes going over your presentation one last time. You should have a copy of your presentation that you can review. Much of your message is relayed through your body language. Appear confident using an open stance. Stand tall. Vary your voice and use slow, open hand gestures. Speak slowly and carefully, but passionately. If you’re enthusiastic about the topic, then your listeners will be as well. Encourage interaction with others during your presentation. When others talk for a few seconds, it takes the focus off you and lets you clear your head and focus on the key points ahead. Interaction also keeps the audience engaged. Public speaking is one of the hardest things to master. If you prepare carefully, have a great mindset and are enthusiastic, you will deliver a great presentation. Are you looking for training or coaching to become a beter presenter or are your projects less than successful? Contact us today to discuss how we can help you. There are many project management processes and techniques that can help your project be successful. Although there are no guarantees, these tips will give you a better chance to be successful. Make sure that your customer defines their requirements in depth. You need to know exactly what must be delivered. Be specific, write them formally, and get them approved. This document will become one of the baselines upon which to measure your success. Define scope well. Get your sponsor approval for scope changes, making sure the sponsor understands any schedule, budget or other impact to the project. Involve your stakeholders throughout the project. Get them involved in the analysis and planning, as well as execution. Gain their approval when needed and keep them informed when needed. The more you involve them, the greater their level of buy-in and the better you will manage their expectations. Keep your delivery timeframes short and realistic. It is easier to be successful if your deadlines are shorter rather than longer. Split large projects into “mini-projects” if possible. Keep each mini-project to less than six months if possible. This keeps everyone motivated and focused. Make sure you keep everyone informed by providing the right information at the right time. Produce status reports and run regular team meetings. Understand the expectations of your customer in terms of quality and put a plan in place to meet their expectations. Jump on issues as soon as they are identified. Prioritize and resolve them before they impact on your project. Take pride in keeping issues to a minimum. Risk management is a great proactive way to solve potential problems before they occur. 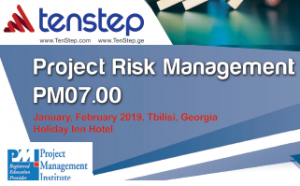 Identify risks early in the project and continue to manage risks throughout the project. As each deliverable is complete, hand it formally over to your customer. Ask them to verify acceptance to make sure it meets their expectations. Only then can you consider each deliverable as 100% complete. Be a great people manager. Show them the project vision and how they can make it happen. Motivate them. Trust and believe in them. Make them feel valued. They will work wonders. There are your ten tips for project success. Now is the time to put them into action. A Resource Plan identifies the physical resources required to complete a project. It lists each of the resource types (such as labor, equipment and materials) and how many of each you need. If you would like to define a comprehensive Resource Plan for your project, take the following three steps. First, identify the different types of resources needed to complete the project. You then need to quantify the amount of each type of resource required. And finally, you need to schedule the consumption of each resource within the project. Let’s describe each step in a little more detail. You should start by listing the resources required to complete the project. Labor. Identify all the roles involved in performing the project, including all full-time, part-time and contracting roles. Equipment. Identify all of the equipment involved in performing the project. For instance, this may include office equipment (e.g. PCs, photocopiers, and mobile phones), telecommunications equipment (e.g. cabling, switches) and machinery (e.g. heavy and light machinery). Materials. Identify all of the non-consumable materials to complete project activities such as materials required to build physical deliverables (e.g. wood, steel and concrete). The next step is to estimate the number of each resource. Materials, estimate how much material, in terms such as square meters, kilograms, number of units, etc. As much as possible, also indicate the date the resources are needed and the consumption rate per day, week or month. That’s it – your three steps to creating a resource plan. Need help understanding resource management and other aspects of project and portfolio management? Contact us today to discuss bringing a training class to your organization. Back in the 60′, Motown’s “I Heard it Through the Grapevine” was a huge hit, made famous by Marvin Gaye. Marvin may no longer be with us, but the grapevine he sang about is alive and well. The “grapevine” is a great metaphor for the way informal and unofficial news travels from person to person. Official news comes through official channels. Informal news, rumors and gossip travel though the grapevine. In a project environment, the circulation of unofficial information and rumors can be disruptive and destructive. Your Communication Plan addresses the formal communication content and paths, but it can be hard to manage the grapevine. The following tips help stop the confusion and manage the grapevine effectively. People love talking about what goes on within their work environment. As a project manager, you cannot monitor and manage the grapevine unless you can be a part of it, or at least aware of what is being said. Assume the projects you manage are one part of that conversation, insert yourself into it and ask people what they are hearing about your projects. Then be sure to add your own facts into the mix. A little bit of accurate information never hurt anyone. Negative communication sometimes gets spun into a mile-long email thread. Inaccurate information and intensity of emotion continue to escalate the longer the email thread grows. The best antidote to negative communication is to get the facts out as quickly as possible. Compose a thoughtful and precise message with a handful of relevant facts to get everyone in sync. Ask your team members to carry the message forward in their grapevine discussions. Much of the talk on the grapevine is harmless babble, primarily serving as an interesting diversion during a long day at work. However, sometimes the message can be very negative and detrimental to the project. In this situation try to track down the source, and discuss the situation with the person formally. The rebuttal is much more effective if the person that started the bad press is also the one to put out the correction. Even if you cannot find the source, put out a positive rebuttal to the people that can carry the message forward in the grapevine. You may have projects that aren’t impacted by negative communication. However, you may then have a vacuum of communication. It’s up to you to fill this void with positive and factual information about your project. Send out pertinent emails, give appropriate updates at company meetings, and have one-off conversations. That way, people will have something positive to talk about when your project gets tangled up in the grapevine. The grapevine has been around since the time the 3rd person walked on this Earth. There’s nothing you can do to stop it from happening, so include it as part of your unofficial communication plan. You’ll notice a big difference with the buzz on your projects. http://www.tenstep.ge/wp-content/uploads/2018/12/Georgia-300x81.png 0 0 http://www.tenstep.ge/wp-content/uploads/2018/12/Georgia-300x81.png 2015-04-06 21:03:022015-04-06 21:03:02Four Ways to Manage the "Project Grapevine"